Jorge is a Los Angeles native who has spent his entire life playing a multitude of sports including soccer, basketball, track and field, and football. He holds a degree in Psychology from the University of Oregon, and spent a large portion of his college career working closely with the school’s various athletic programs. 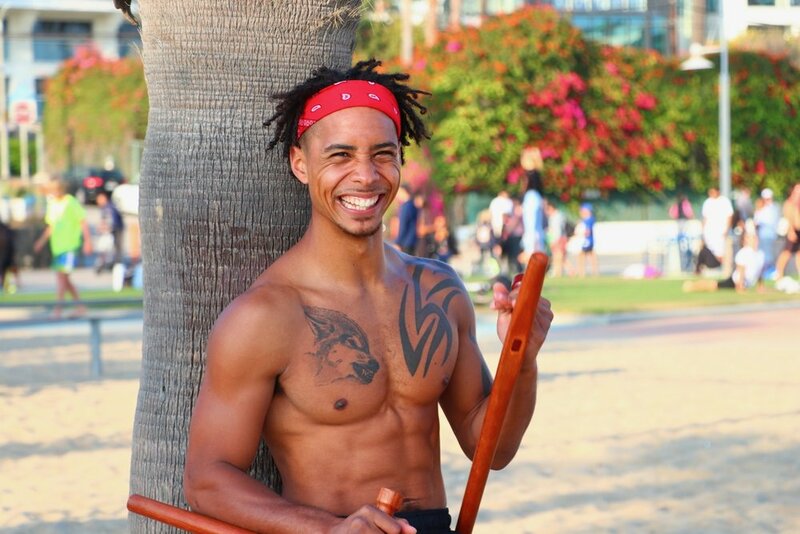 He later found his passion for martial arts in 2015 after training in Capoeira for numerous years in his youth, and has experience training and teaching Boxing, Muay Thai, and other self-defense arts such as Bruce Lee’s martial art: Jeet Kune Do (Way of the Intercepting Fist). He began his personal training career at Equinox in 2017 upon moving back home to Los Angeles before making his transition to 34 North. breath work to guide others towards optimal levels of health and wellness in all aspects of their lives. Outside of work Jorge is a percussionist who plays the Djembe (West African) and Huehuetl (Aztec, indigenous Native American) drums, and can also found hiking with his loyal Doberman.